The Patriots beat the Rams 13 to 3 last night with Tom Brady earning his record-breaking 6TH Super Bowl Ring in a game that many are calling a real snoozer. - Unlike the Saints/Rams game where the only ones sleeping were the Refs. 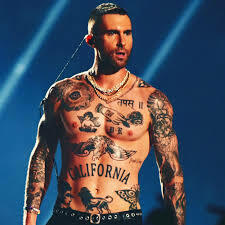 Some on Social Media are angry that Halftime performer Adam Levine of “Maroon 5” got away with taking his shirt off - but Janet Jackson got in trouble for “Nipplegate” with Justin Timberlake. - Is it just me or are they comparing Apples and Oranges here?? Pastie covered ones at that. Some people always find SOMETHING to complain about. Speaking of which… Hyundai had to apologize on Social Media for their Super Bowl ad which equated attending a Vegan dinner party with having a root canal - which PETA called “Vegan Shaming”. - I’ll be honest. If you invite ME over and serve a “BEETLOAF” - I’m going to shame you. Virginia Governor Ralph Nordham took back his apology for appearing in a Medical School yearbook photo in blackface - now claiming it was wasn’t him. But he admits to wearing blackface in the ‘80’s as part of a Micheal Jackson costume. - That’s offensive! Everyone knows Michael Jackson’s face wasn’t really black. A study by Ticketmaster found that NFL fans spend 46 hours a month thinking about their team. - Except Lions fans who spend 46 hours a month binge-watching “The Biggest Loser”. A 27 year old man - who says he is an “Anti-Natalist” is planning to sue his parents for giving birth to him 'without his consent'. - His parents admitted was “unplanned”, but when Push comes to Shove what are ya gonna do?. - His mom is now counter-suing him for the birth calling it “Unlawful Breaking and Exiting”. President Trump told CBS that he doesn’t want his son Barron to play football because of the risk of dangerous head injuries. - Instead, he wants Barron to participate in a Safer sport… like having a Pi==ing contest with Nancy Pelosi.